Infertility is so prevalent, and the cost for fertility treatments are so prohibitively expensive, and this community needs the aid and awareness that this Foundation is providing. The members of this organization have put so much time and energy into establishing this Foundation and raising funds in order to help people like us... [W]e will forever be grateful to every person who has been involved in The Hope for Fertility Foundation for their generosity. From the very first moment we made contact with Hope for Fertility Foundation, we were treated with such respect, consideration and compassion. The process was absolutely wonderful from beginning to end! This foundation is such an remarkable gift to couples like us who have a dream and are praying for a way to fulfill it. 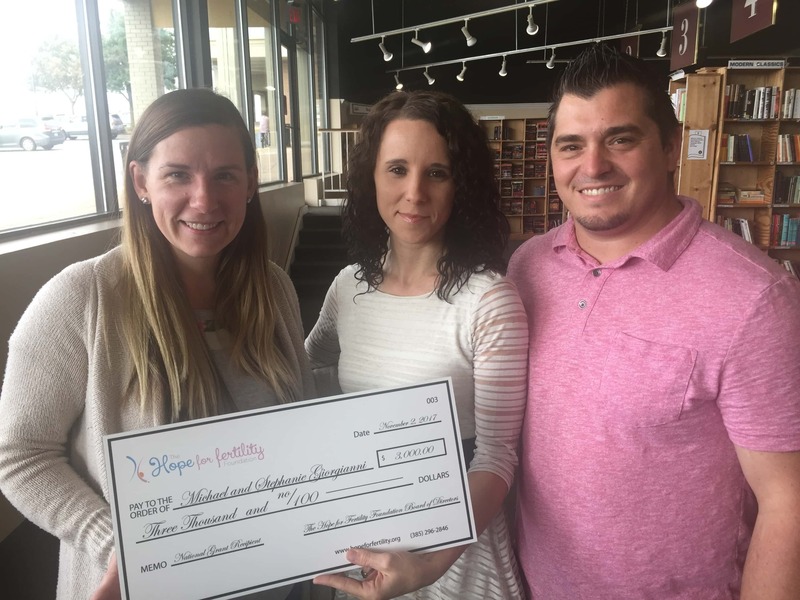 When we found out we were awarded a grant, we were overwhelmed and just couldn't believe that there were strangers out there that cared about us and helping us grow our family! There are no words to explain how thankful we are for this grant and for this foundation and all those individuals associated with making it possible! 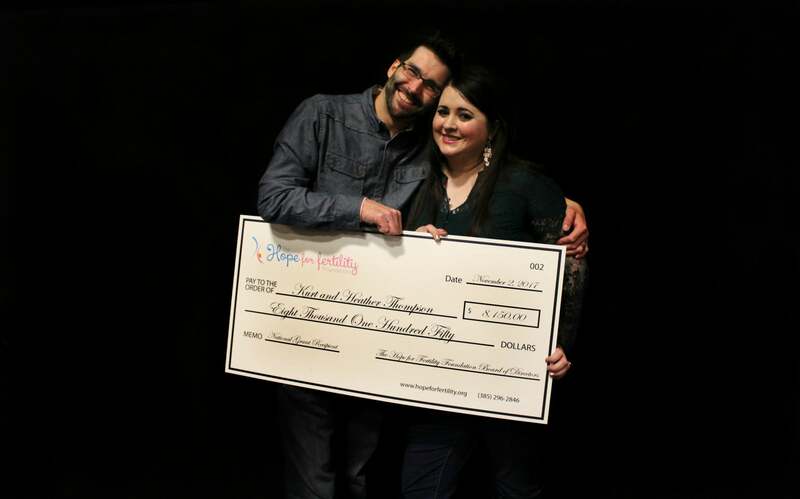 Thank you to [everyone at] the Hope of Fertility Foundation for being such an incredible blessing to our family! Shortly after meeting, we had a strong desire to have children and start our family. We knew we wanted to experience the joy of watching them embrace life. We have had set backs that require IVF, an expensive process that is difficult to prepare for. Our dream of having children seemed so far out of reach, and we knew we needed help. The grant gave us hope. When we received the news we immediately felt like things were possible and that we weren't alone in our struggles. The Hope for Fertility Foundation gives strength to those who struggle with infertility. They help give infertility a voice. 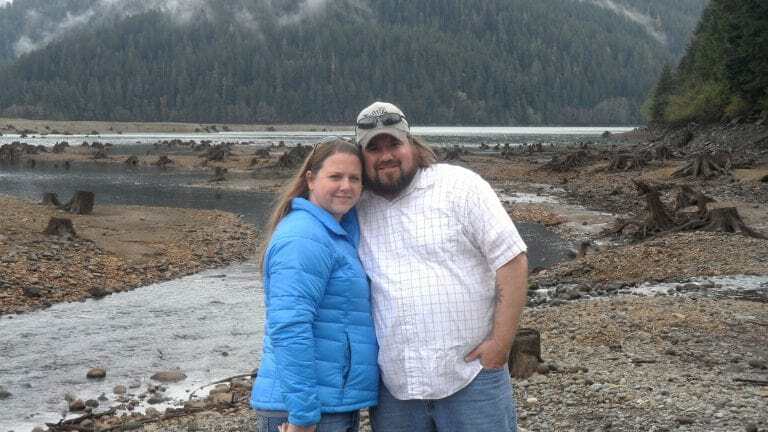 We can't wait until our family grows and it will be in part because of he hope and financial assistance we received from The Hope for Fertility Foundation. 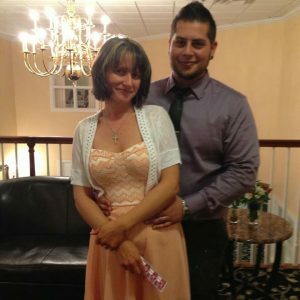 They help make a couples biggest dreams come true, and we are so grateful for them. Our struggles with infertility is just a part of our story but it will not be the end. We are incredibly grateful to The Hope for Fertility Foundation for giving us the hope and dreams of allowing us another chance to become amazing parents. 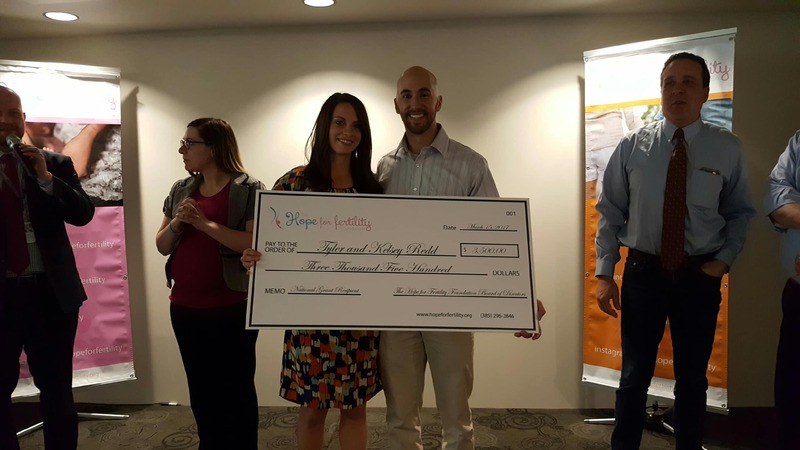 We both feel incredibly grateful to be awarded a grant from The Hope for Fertility Foundation. Without their help we really don't know how we would have overcome the financial burden of IVF. When we met and fell in love the word "infertility" never crossed our minds. But as the months turned into years, our dream of having a baby turned into an emotional nightmare. Although we still have a way to go with our journey, we are optimistic that our time to be parents is on the horizon. Words cannot completely express how much we appreciate The Hope for Fertility Foundation and the hope they give to so many couples like us. Thank you from the bottom of our hearts and baby dust wishes to all the couples who are battling infertility!